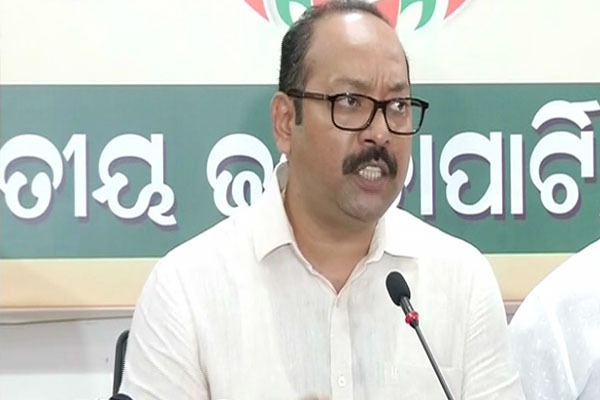 Bhubaneswar: Opposition BJP today kicked up further row on the State Government’s proposed Make in Odisha conclave saying that the Government has turned a blind eye towards the interest of industrialists in the State. “The State Government had spent Rs 16 crore for the Make in Odisha conclave in 2016. At least 16 steel companies with whom MoUs were signed in 2016 have returned from the State,” said BJP state general secretary Bhrugu Baxipatra in a press conference here. Earlier, the saffron party termed the ‘Make in Odisha Conclave’ as ‘Make in BJD and Break in Odisha’ alleging that the State Government has pushed people into frustration on false promises of industrial development. The Make in Odisha Conclave 2018 is the flagship biennial business event of the Odisha government. The state will be organizing the second edition of the marquee event in Bhubaneswar from November 11 to 15, 2018.